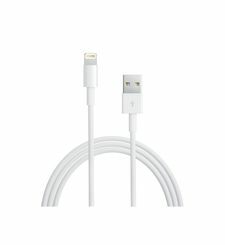 Apple lighting to USB cable helps in easy charging and quick data transfer. 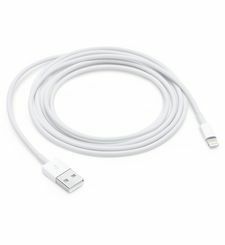 You can carry this USB cable in your pocket and charge your iOS device anywhere.Sync your iPhone, iPad, or iPod to the computer and charge easily with the Apple MD818ZM A Lightning to USB Cable. 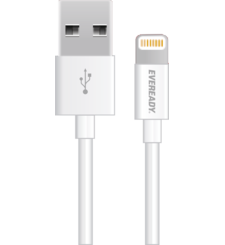 This lightning connector facilitates a quick connection between your iOS device and your computer and has a reversible design. It can also be connected to a USB 2.0 port as you can enjoy the benefits of quick data transfer as well as charging. 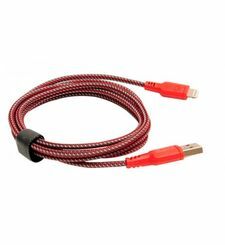 Besides, this lightning cable is merely 1m long, and you can carry it in your pocket and use it, or lend it to a friend in need of a quick charge. Apple lighting to USB cable helps in easy charging and quick data transfer. 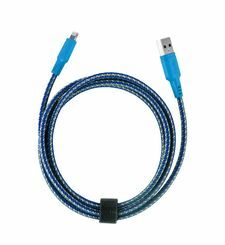 You can carry this USB cable in your pocket and charge your iOS device anywhere.Sync your iPhone, iPad, or iPod to the computer and charge easily with the Apple MD818ZM A Lightning to USB Cable. 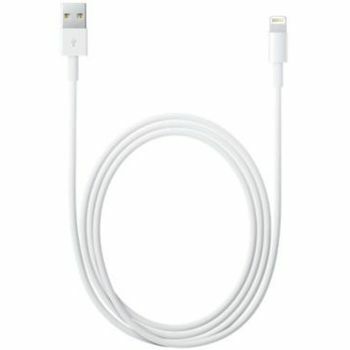 This lightning connector facilitates a quick connection between your iOS device and your computer and has a reversible design. It can also be connected to a USB 2.0 port as you can enjoy the benefits of quick data transfer as well as charging. 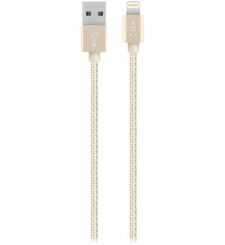 Besides, this lightning cable is merely 1m long, and you can carry it in your pocket and use it, or lend it to a friend in need of a quick charge. 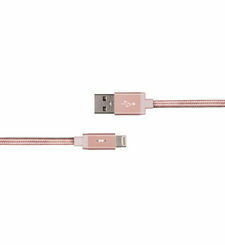 KEY FEATURES 1 meter Lightning to USB Cable Reversible design USB 2.0 cable Apple 1 meter Lightning to USB Cable PLUG IT AS YOU LIKE The Apple Lightning to USB cable comes with a reversible and symmetrical adaptive design, which means you can plug it in without bothering about the plug’s orientation or cable’s direction. 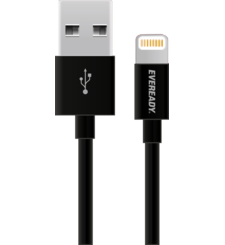 The cable lets you charge both ways, thereby preventing the chances of any damage when you are in a hurry. HANDY CONNECTOR You can connect your iPhone to this lighting USB cable to sync and charge, and also as an audio output. Moreover, it also allows easy connection to compatible stereo systems in vehicles, facilitating easy listening on the go. You can also connect it to Apple USB Power Adapter for quick charging from a wall outlet.